The Manufacturing Technologies Association (MTA) have thrown their support behind The Year of Engineering. The Year of Engineering is a Government campaign, which launched this week to celebrate the world and wonder of UK engineering in 2018. The MTA represents the companies who make and supply the technology that manufacturers deploy to create and make the world around us. Technological change is the moving spirit of our age. Whether it is the development of AI pushing our understanding of consciousness, 3D Printing altering how we can make things or digital technology transforming how businesses interact with consumers, we are seeing the future hurtle towards us. In the United Kingdom over 2,600,000 people are directly employed in manufacturing with many more in other sectors indirectly reliant on it too. Manufacturing accounts for 70% of UK R&D and advanced engineering in particular is the sort of high value, high wage, highly exportable industry we increasingly need. We welcome the recognition of manufacturing’s importance in the Industrial Strategy. 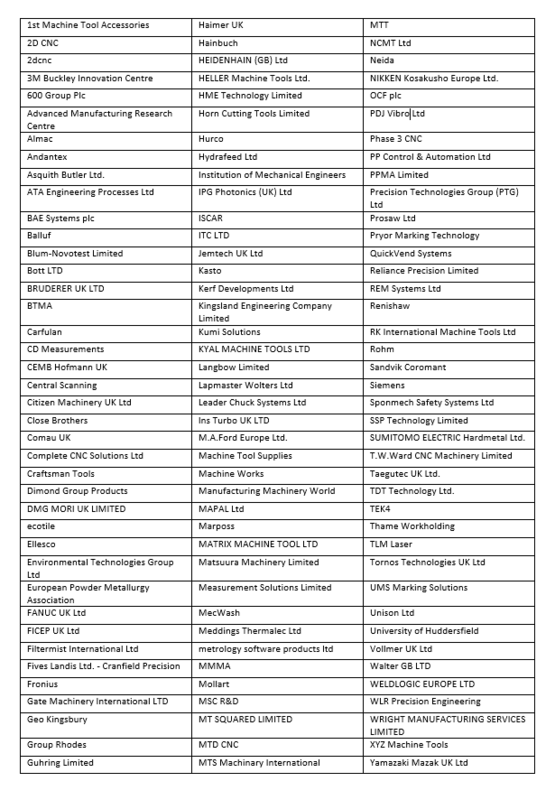 The Manufacturing Technologies Association (MTA) represents the companies who make and supply the technology that manufacturers deploy to create and make the world around us. We therefore welcome the decision to declare 2018 the Year of Engineering. The UK has a world-wide reputation for engineering ingenuity and is at the forefront of technological break throughs that are shaping the world we live in. It is our responsibility to champion engineering’s present and future. We’re looking forward to events up and down the country over the next twelve months not least the largest exhibition of manufacturing technology in the country this year, MACH 2018. MACH will see over 30,000 people from the world of engineering come together, at the NEC between the 9-13 April, to find out about the latest developments and best innovations. MACH caters for manufacturers of all sizes and sectors and is the place to showcase the industry, get business done and attract new talent. As part of the Year of Engineering we are committed to using the event as an opportunity to promote the industry and the profession here in the UK.